On September 30, 2006, the musical stage show Dream-Along With Mickey debuted at Walt Disney World’s Magic Kingdom. The show stars not only Mickey and the gang, but includes appearances by Cinderella, Aurora, Snow White, Captain Hook, and Peter Pan, among others. As the celebration part of the show begins, Maleficent from Sleeping Beauty appears, and Mickey has to stop her from turning dreams into nightmares, with the help of the audience. The show is 20 minutes long, and takes place at Main Street within the Magic Kingdom. Posted in Uncategorized and tagged 2000s, Attraction, Disney Park, Live Show, Mickey Mouse. Bookmark the permalink. On September 29, 2000, the theatrical feature film Remember the Titans was released to theaters. Based on the true story of the 1971 T.C. William Titans football team, the film tells the story of Coach Herman Boone and the struggles he faces as head coach, as well his dealings with Coach Bill Yoast, as they both try to direct the team during the time of racial turmoil in Alexandria, Virginia. The film was a joint production between Walt Disney Pictures and Jerry Bruckheimer Films. The screenplay was written by Gregory Allen Howard, with the film being directed by Boaz Yakin, and starring Denzel Washington as Coach Boone, Will Patton as Coach Yoast, Wood Harris as Julius Campbell, Ryan Hurst as Gerry Bertier, and Hayden Panettiere as Sheryl Yoast. The movie opens at a funeral in Alexandria, Virginia, 1981. The narrator talks about her father coaching in Virginia, where football is considered bigger than Christmas. The film then goes back to July, 1971, just after schools in Virginia were integrated, with crowds of angry people in front of a store where a white store owner killed a black teenager. Some teenagers are seen playing football, when another student arrives and alerts them about the shooting. Their coach, Bill Yoast, luckily is able to stop them before they get caught up in the fighting. As they arrive back at the school, they are surprised to see Herman Boone, the new assistant coach, in Yoast’s office. After some tense words, Boone reassures Yoast that he comes with one purpose: to win. The announcement comes soon after: Boone has been placed into the head coaching position by the school board. Boone is against the decision, as he left his position in North Carolina for being passed over due to race, and is against doing the same thing to someone else. Boone goes to Yoast’s house to offer him an assistant coaching position, but Yoast turns it down. He changes his mind when he realizes that the kids he coaches are putting their scholarships on the line. The students go to football camp at Gettysburg College, with former team captain Gerry Bertier clashing not only with Coach Boone, but particularly with other player Julius Campbell. Boone is constantly making the two teams work together, forcing them to work together as one team. After a run to Gettysburg Battlefield, the two teams slowly begin to work together, with Julius and Gerry beginning to become friends. Unfortunately, when they get back home to Alexandria, the racial tensions they left behind are there to meet them, threatening to tear apart their newly formed team friendships. There’s more news for Boone as well: the moment he loses a game, he will be fired. After a nearly disastrous first game, the Titans go on to a great winning streak, with the town slowly coming around to support the team. Although Gerry becomes good friends with Julius, his friends and family don’t share his viewpoint. Yoast is also having problems with the people in his life; his friend Coach Tyrell deserts him when Yoast continues to work with Boone, and when his daughter spends time at the Boone’s house, a brick is thrown through the window, which causes Yoast much concern and highlights the tensions between the two coaches. Yoast is put to the test when his nomination to the Hall of Fame is on the line: he will only stay a nominee if he helps throw the next game. In the end, he tells the referees that he knows they’re helping to throw the game, and refuses to contribute any more to the scheme. This loses him the Hall of Fame, but Yoast believes he’s gained something more. After this game, Gerry is in a terrible car accident during the celebrations, and everyone rushes to the hospital. He becomes paralyzed from the waist down from his injuries, and will only speak to Julius. Julius promises that Gerry will pull through this, and they’ll grow old and fat in the same neighborhood, where race will no longer be an issue. Although Yoast believes that the team should take a break, Gerry refuses to let that happen, saying, “I’m hurt. I ain’t dead.” He then suggests to Yoast about entering the Wheelchair Games. Posted in Uncategorized and tagged 2000s, Color, Feature Film, Jerry Bruckheimer Films, Live Action, Walt Disney Studios. Bookmark the permalink. 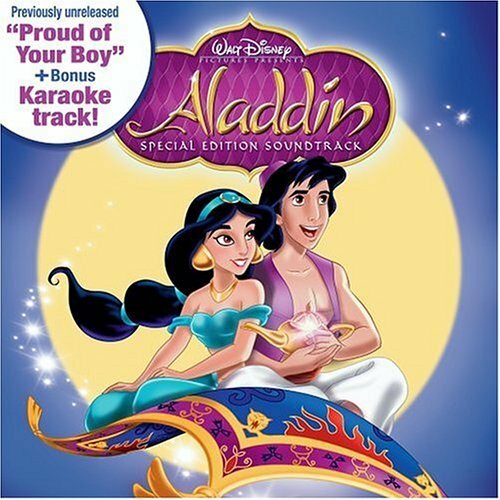 On September 28, 2004, the special edition soundtrack of Disney’s 31st animated feature, Aladdin, was released through Walt Disney Records. The original soundtrack was released on November 25, 1992, with this special edition coinciding with the Platinum Edition of the film released on October 5, 2004. Posted in Uncategorized and tagged 2000s, Feature Film, Music, Soundtrack. Bookmark the permalink. 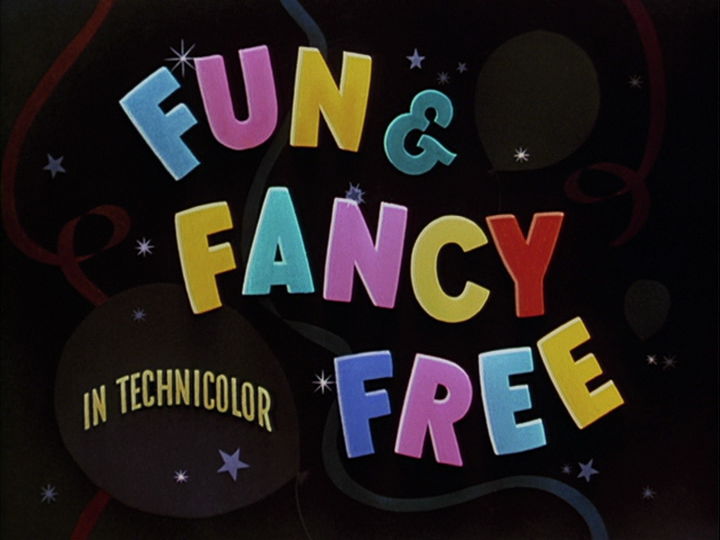 On September 27, 1947, the ninth animated feature film, Fun and Fancy Free, was released to theaters. It was the second package film released by Disney, comprised of two stories: Bongo (written originally by Sinclair Lewis), and Mickey and the Beanstalk, a retelling of the classic tale Jack and the Beanstalk. The two were originally meant to be full-length features of their own. Although Mickey was in the feature film Fantasia, this was the first time Goofy and Donald were also used to carry a feature film. 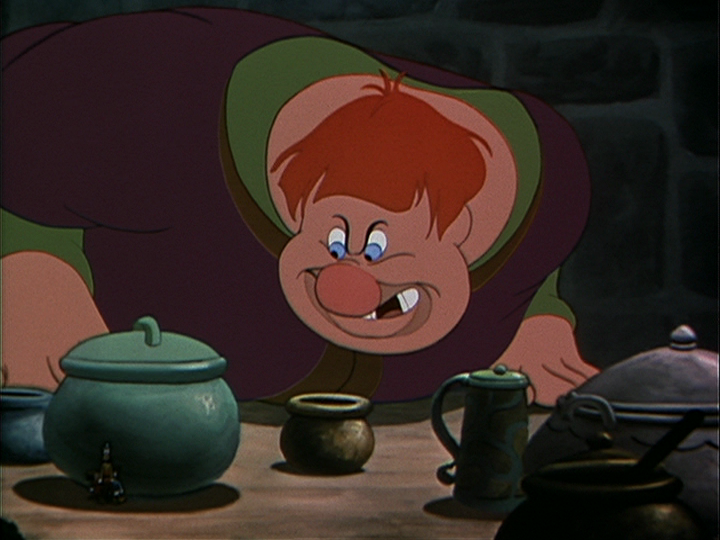 As the story was tightened, many scenes were dropped, including the scene where Mickey receives the magic beans for his cow from none other than Minnie Mouse, playing the queen. The two stories were stopped in development when the country entered World War II. The live action segments were directed by William Morgan, with the animation sequences directed by Jack Kinney, Bill Roberts, and Hamilton Luske. The film included the talents of Anita Gordon, Cliff Edwards, Billy Gilbert, The Kings Men, the Dinning Sisters, and the Starlighters, as well as Edgar Bergen (ventriloquist for Charlie McCarthy and Mortimer Snerd) and Luana Patten. This film also marks the last time Walt Disney voiced the character of Mickey Mouse, as he would have sound effects man Jimmy MacDonald take over the role. The movie begins with the voice of Jiminy Cricket ringing out, singing about being happy-go-lucky, and begins to sing and dance around a library, expressing his sadness about the whole world worrying about so many things. “But why get so excited,” he asks. “What’s going to be is going to be.” Unfortunately, he runs into a cat that chases him out of the library. He finds himself in a girl’s room, coming across what he calls a “deadpan doll and a droopy bear.” To cheer them up, he puts on a record about the story of Bongo, a musical story sung by Dinah Shore. 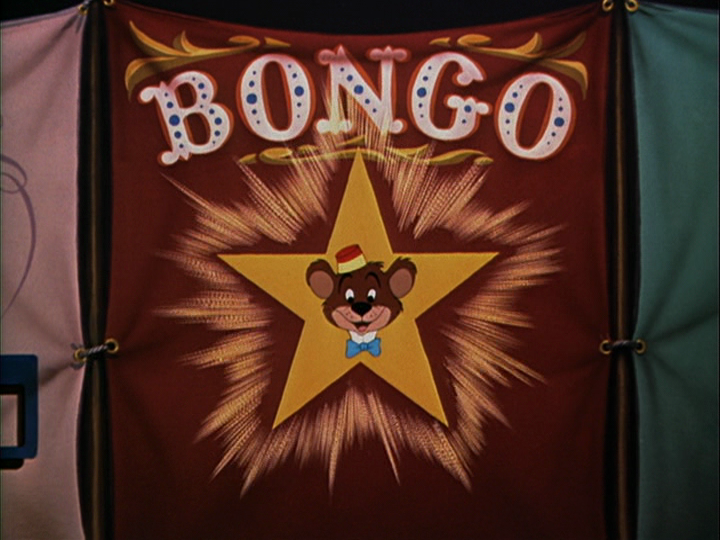 Bongo is a circus bear: “he was born in the circus, grew up in the circus; in fact, Bongo was the star of the circus.” Bongo was seen as being able to do it all, with the circus tent packed with fans that wanted to see him perform the greatest of stunts. But although Bongo appeared thrilled with what he was doing, he was a prisoner of the circus, kept in a cage. He spent his nights dreaming of a place where he was free from the circus life. One fateful day, he decides to answer the call of the wild, and escapes from the circus train. Finally free, he explores the woods where he landed, smelling the flowers and leaping over tree roots. Unfortunately, Bongo doesn’t know how to survive in the woods, but he’s still elated to be out in nature. He soon makes friends with the animals of the forest, and they walk around, exploring their surroundings. Unfortunately, life in the woods is not as pleasant as Bongo thought, as at first he is unable to get to sleep, then finds himself caught in a storm. He becomes discouraged that his dream life wasn’t the way he thought it would be, and even more discouraged that he can’t even catch food like a real bear would. As he tries to catch a fish, he hears the giggle of a young female bear named Lulubelle, and begins to follow her as she flirts with him. The two quickly fall in love, but there is one problem: Lumpjaw, the roughest, toughest, meanest bear in the woods, who wants Lulubelle all to himself. After some mixup, Lulubelle ends up in Lumpjaw’s arms, with Bongo being left heartbroken, as he didn’t understand the way of bears (bears express their love by slapping). Lulubelle sneaks away from the bears to find Bongo, and a fight ensues between Bongo and Lumpjaw, with Bongo using his circus skills to win. Lulubelle and Bongo live happily ever after in love. 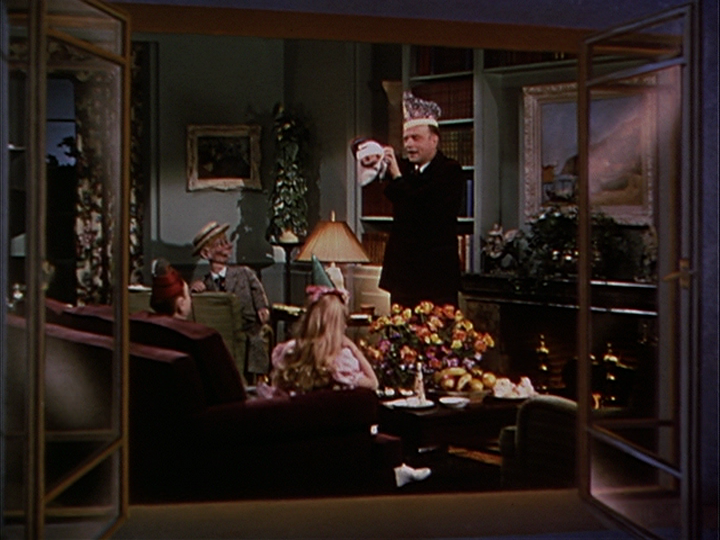 After the story ends, Jiminy comes across a party invitation for Luana Patten at Edgar Bergen’s house across the way, and decides to attend himself. Bergen is entertaining Luana, Mortimer Snerd, and Charlie McCarthy, and decides to tell the group a story: Mickey and the Beanstalk. He has Luana create a picture in his mind of Happy Valley, where Mickey, Goofy, and Donald live. Happy Valley was a prosperous place, with a magic singing harp residing in its castle, casting a spell of joy over the entire valley. One day, a mysterious shadow appears in Happy Valley, and steals the harp from the castle. Once the harp is stolen, the valley loses its joy and prosperity. The audience is taken inside the cottage of Mickey, Goofy, and Donald, sharing a pitiful meal. Unable to take it anymore, Donald loses his cool, going mad with hunger and desperation. He takes the axe from the wall and decides to kill their beloved cow. The next day, Mickey decides to take their cow to market, with Goofy and Donald hopeful that they will be able to afford food. When Mickey comes home, however, he informs them that he sold the cow for magic beans. Donald loses his cool again, throwing the beans away. Once the moon hits the spot where the beans fell, however, a giant beanstalk begins to grow, destroying their house in the process and sending the trio sky high. When morning comes, the three are amazed to see a castle in the sky, and decide to explore. After surviving an attack a giant dragonfly, the three reach the castle steps and climb inside. They discover that the banquet table is covered in food, and don’t hesitate to eat the best meal they’ve had in ages. They also discover the harp being held hostage in a treasure box nearby, and she warns them about the giant, as he has the ability to turn himself into anything he wishes. Suddenly, the giant appears, singing a simple song about himself and adding the words, “Fe Fi Fo Fum.” He smells the scent of the trio and searches for them, but gets distracted by the food on the table and begins to eat. He catches Mickey, but with Mickey’s quick thinking, he’s able to escape, tricking the giant into changing into a fly. However, the giant would rather change into a pink bunny rabbit, and when he spies the trio with a flyswatter, he catches them and throws them into the treasure box, keeping the harp out for her to sing him to sleep. With the harp’s help, Mickey is able to free his friends and escape with the harp. The giant wakes up as they begin their escape and chases after the three. When the trio makes it to the bottom of the beanstalk, they grab a saw and begin to chop the beanstalk down, sending the giant tumbling down to earth. Happy Valley is returned to its peaceful and prosperous state. As Bergen finishes telling the story, he notices that Mortimer begins to cry over the death of the giant. Bergen tries to explain that the giant never existed, and is succeeding until the roof of his house lifts, and the giant appears, asking the group if they’ve seen a mouse. Bergen faints, and the giant leaves, exploring Hollywood for signs of Mickey (and taking the Brown Derby restaurant with him as a new hat). Posted in Uncategorized and tagged 1940s, Actor, Color, Donald Duck, Feature Film, Goofy, Mickey Mouse. Bookmark the permalink. On September 26, 2006, the debut album of High School Musical star Vanessa Hudgens, titled V, was released through Disney’s Hollywood Records. With two promotional singles – “Come Back to Me” and “Say OK” – the album debuted and peaked at twenty-four on the Billboard Charts. It was certified Gold on February 2, 2007. The first single, “Come Back to Me,” was released on August 25, 2006, peaking at 55 on the Billboard Hot 100 Charts and 18 on the Billboard Pop Song chart. “Say OK,” the second single, was released much later, on March 27, 2007, faring much better on the charts, as it hit number 1 on the Billboard Hot 100, and peaked at number 7 on the Billboard Pop Song chart. Overall, the album received positive feedback. Posted in Uncategorized and tagged 2000s, Disney Channel, Hollywood Records, Music, Women. Bookmark the permalink. 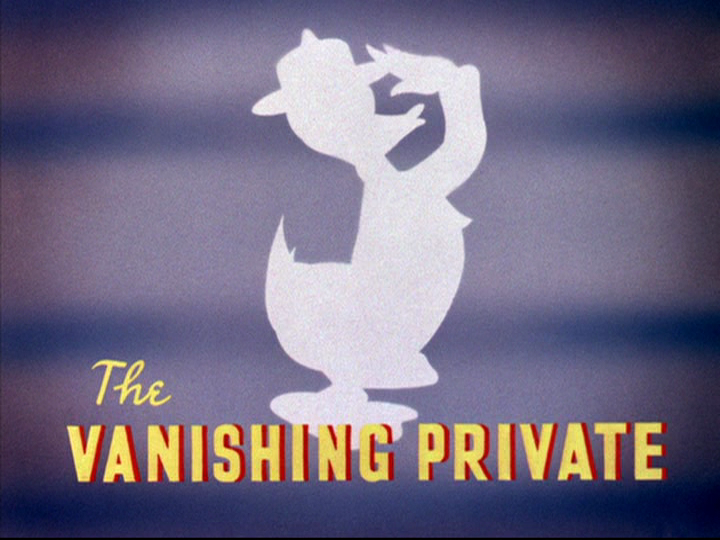 On September 25, 1942, the Donald Duck wartime short film The Vanishing Private was released to theaters. The short was directed by Jack King, written by Carl Barks, and stars Clarence Nash as Donald Duck, and Billy Bletcher as Pete. The short opens with Donald painting a cannon with yellow, green, and red stripes with black dots. Sergeant Pete finds him and grabs him, asking what he’s doing there, with Donald responding that he’s a camouflage painter. Pete chastises him, telling him that Donald needs to paint the cannon so that people don’t see it, with Donald responding that he didn’t know. Donald runs off to find some new paint, and wanders into the Experimental Laboratory – Camouflage Corps building. 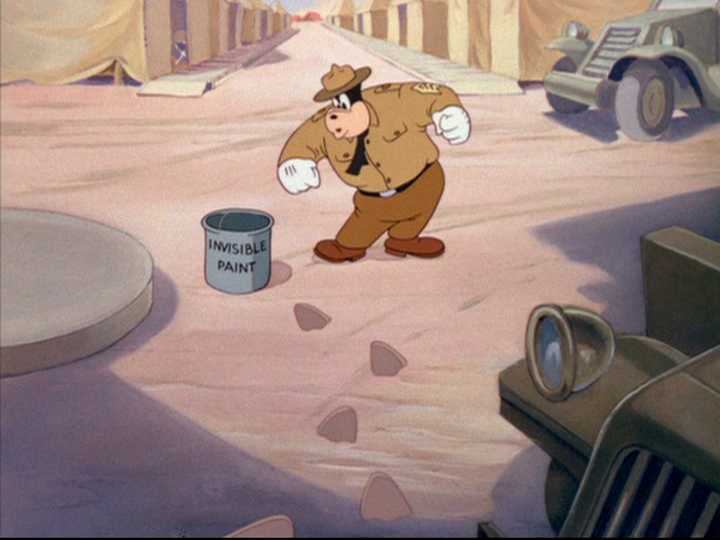 He looks at a particular bucket of paint, which happens to be invisible paint. Amazed at his find, he decides this is the perfect paint to use for his cannon. Pete stops by later after Donald has finished painting the cannon invisible, thinking that Donald has stolen the cannon. He runs into the end of the cannon, alerting Donald, who informs the sergeant that he’ll be right down. Pete cautiously feels around for the end of the cannon, then sends Donald flying out of the other end, straight into the bucket of invisible paint. Donald then runs away, diving into a creek and running into a field of tall flowers, with Pete in hot pursuit. Pete throws some flowers aside, which reveal Donald’s location. Donald quickly brushes the flowers away and runs off. Having gotten an idea of how to make the duck visible again, Pete grabs more flowers and begins throwing them everywhere, as Donald skips around a tree singing “Here We Go ’Round the Mulberry Bush.” Just as Pete imitates him, throwing flowers around, the General pulls up in his car and clears his throat to get Pete’s attention. Pete asks if he’s seen someone he can’t see, and the General, alarmed, shakes his head. 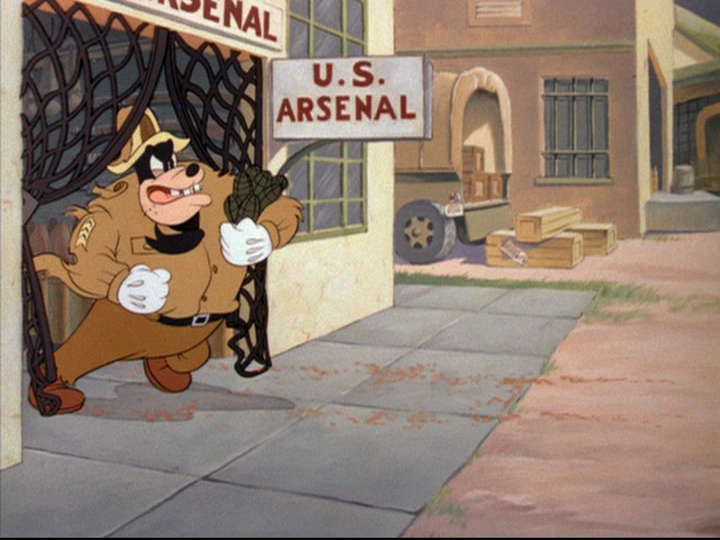 Posted in Uncategorized and tagged 1940s, Color, Donald Duck, Short film, WWII. Bookmark the permalink. On September 24, 1936, James Maury Henson was born in Greenville, Mississippi. In the late ’40s, the Henson family moved to Hyattsville, Maryland, and Henson later attended school at the University of Maryland. While attending college, he began working on a five-minute puppet show called Sam and Friends. 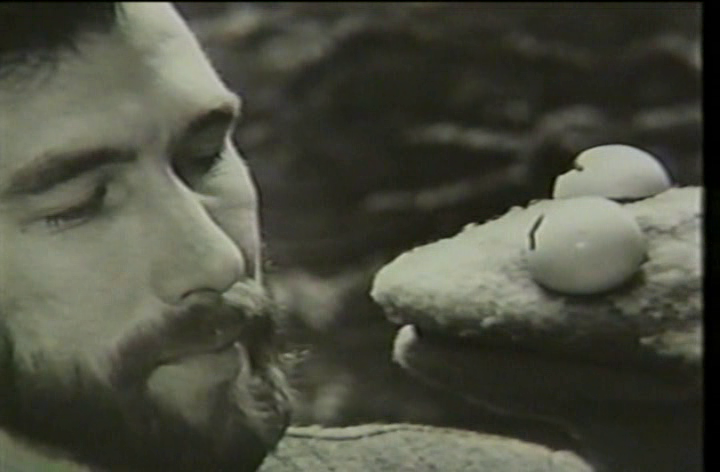 “The magic of what television was is what first made me want to work in television, and puppetry was just a way of getting a job on a television station…television was in its early days,” Henson said about working in television at the time, “so I made a couple of puppets and auditioned, and got a job, and that’s kind of how it all started.” One of the characters on Sam and Friends would be the prototype for Henson’s most famous character, Kermit the Frog. The show had a huge following in the D.C. Metro area, and around this time, Henson began working with Jane Nebel, the woman who would eventually become his wife. In 1969, Henson was asked by the team at the Children’s Television Workshop to work on a children’s program for public television. This would turn into the wildly successful show Sesame Street. Its success allowed Henson to get out of creating commercials. While working on Sesame Street, Henson and his team continued to develop sketches for adults, as the company did not want to be typecast as a creator of only children’s entertainment. One of the projects developed was a weekly show that was rejected by American networks, who only saw it as more children’s television. Henson convinced British media impresario Lew Grade to finance the venture, and The Muppet Show aired its first episode on September 13, 1976. The show introduced the characters of Miss Piggy, Gonzo, and Fozzie Bear, and gave Kermit the role of the host. Kermit has been seen as Henson’s alter-ego, much as Mickey Mouse has been seen as the alter-ego of Walt Disney. 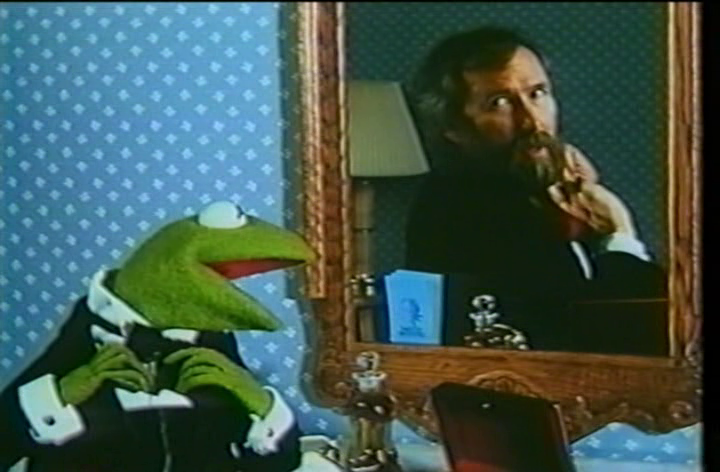 In 1979, Henson made his foray into feature films with The Muppet Movie, which was a success both critically and financially. The film was followed with The Great Muppet Caper. After the success of the latter film, The Muppet Show was brought to an end so Henson could focus on more feature films, which included The Dark Crystal, The Muppets Take Manhattan, and Labyrinth. In 1989, Henson entered into negotiations with the Walt Disney Company to handle the business side of the Muppets while he spent more time on the creative side. Several projects were completed at this time, including a television special, The Muppets at Walt Disney World, and a Walt Disney World attraction called Jim Henson’s Muppet*Vision 3D (a still present and popular attraction) [See August 28th entry for more information]. Unfortunately, Henson died before the deal was completed (a new deal would be reached in 2004). On May 16, 1990, Henson passed away at the age of 53. He was awarded as a Disney Legend in 2011. Posted in Uncategorized and tagged Actor, Births, Disney Legend, Muppets, Puppeteer. Bookmark the permalink.